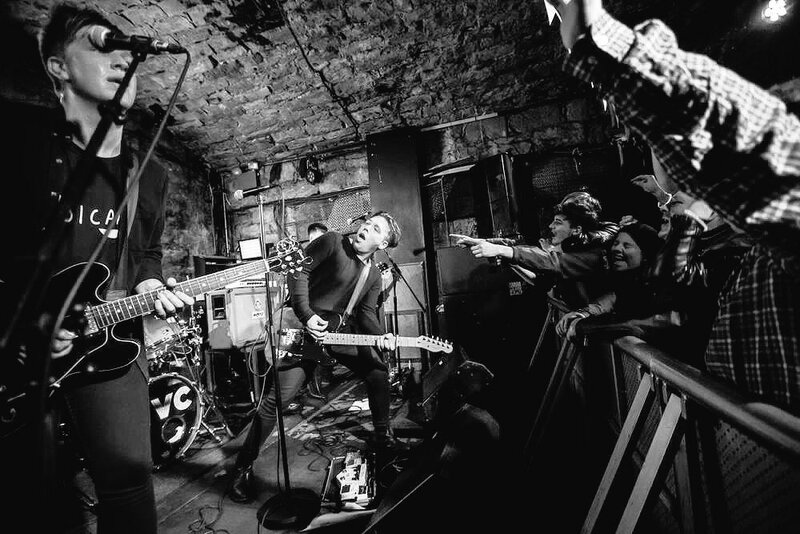 As the Glasgow festival began once again, the hype was all too real: aye, we might have had TRNSMT but in terms of grassroots Scottish music, Tenement Trail is the big yin. All situated on Sauchihall Street, bar a venue or two, the event offers a unique experience with the sheer abundance of acts to pop yer head in and see. With energy drinks, white russians and an auld pair of running shoes in hand, we tried our best to cover as much of TT as possible in our classic festival coverage (that always seems to go ary). So without further ado, here’s our verdict on TT2017. All that Fauves were missing from their Nice N Sleazy set was a disco ball and a cameo from John Travolta. While there was an indie rock element to the band’s performance, a glitzy 70’s vibe could be felt throughout, whether it was due to the influence of Vegan Leather’s Gian-Luca on keyboard or the dreamy one minute, broad the next vocals of their frontman. With little dance moves sprinkled in here and there, this was the band TT needed to get things off to a good start. At the time, Heavy Rapids seemed like the ideal band to see after witnessing the alluring, dreaminess of Fauves: hyped up as a DIY indie rock force to be reckoned with, the act had the Priory packed in no time but upon witnessing the band’s work for the first time, it all felt rather underwhelming: nothing stood out with everything being quite alright but nothing entirely exceptional, everything coming across as bland to be frank. 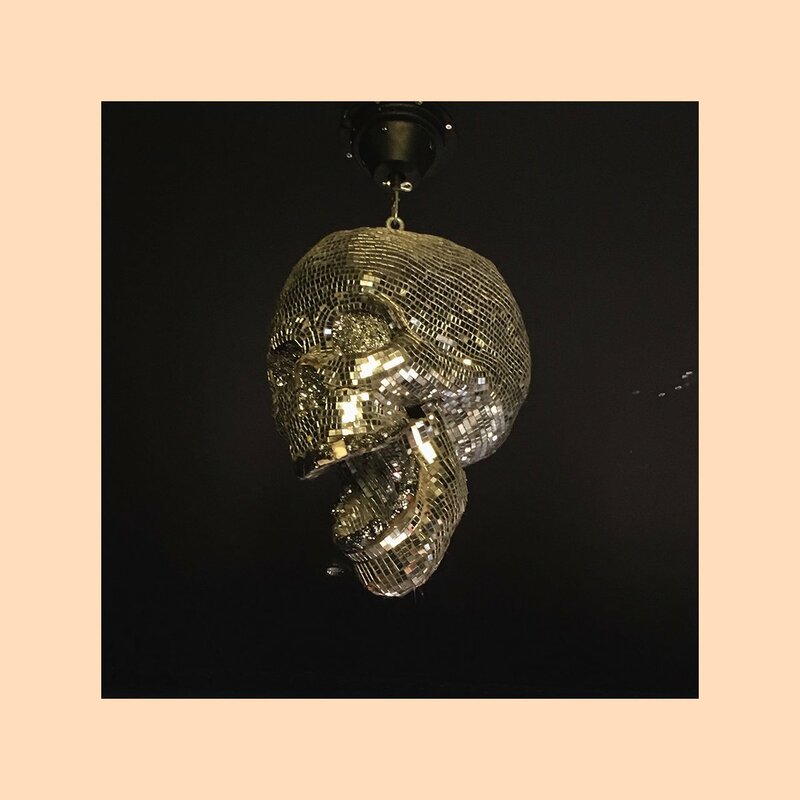 It feel like they have something to say but when each song seemed to blur into the next, their recent single Money Is Power‘s lyrics of “I want to be somebody” rang especially true – hopefully Heavy Rapids find out what they want to be soon enough. Our first non-Scottish act of the day came in the form of Sam Fender who can only be described as an indie Justin Bieber (though this comparison only comes from a remark made by a Glaswegian a few years back). Out of all the artists playing TT this year, Fender was the most interactive, giving witty anecdotes and appreciative comments throughout his set. 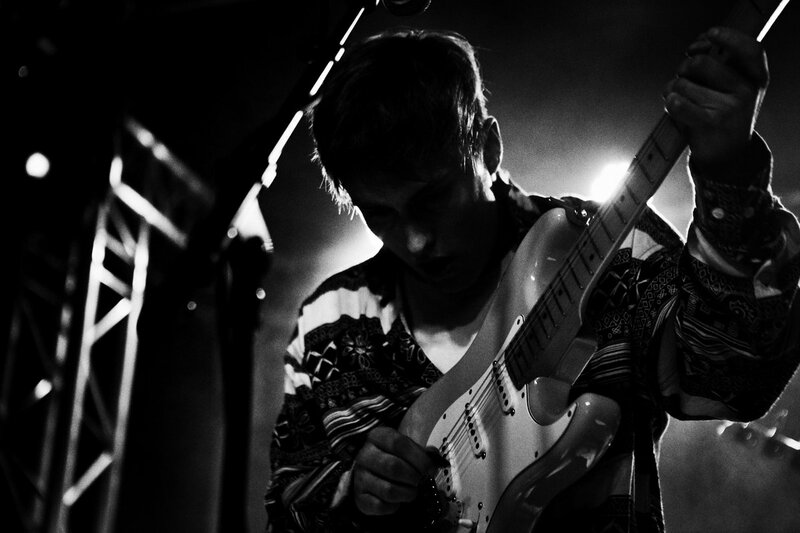 Thankfully, the music itself was worth sticking around for: we were frankly a bit worried what it would be like after finding out he supported this site’s favourite band Catfish & The Bottlemen but Fender’s music has an addictive feel to it without sacrificing integrity or quality. Play God was the most hard-hitting of the tracks in his roster, offering some interesting dystopian imagery while showing off his lovely set of pipes. It’s not impossible to imagine Fender joining the likes of Declan McKenna in terms of smart indie rock. To say that SWAY pulled out all the stops to make an impression yesterday. The band have been on our radar for quite some time which makes the urge to kick ourselves for not seeing them sooner all the harder to resist: it’s hard to recall an act that incited the same reaction this Glasgow rock outfit did, putting on such a show that it allured even the photographers to get in on the fun. Inflatable footballs were kicked off near the end of the set, resulting in scenes you’d expect from a sunday league game. With their blend of indie rock and shoegaze going down just as well as a Broadcast white russian, SWAY didn’t so much display but demand why they deserve everyone’s attention. Retro Video Club made sure to continue this trend of quality with some more poppy affairs that seem to have already hit a chord with a huge chunk of the audience in attendance: one member at the front of the crowd was singing along to every song, some apt moves chucked in alongside them. We’re not ones to compare and discredit Scottish up and comers, especially not the latter, but the tunes from this band will certainly go down a treat with anyone who enjoys the work of fellow Scottish up and comers Vistas (more on them in a bit): there’s a classic noughties rock appeal meshed in with a catchy structure that seems to be a perfectly crafted sound for the live-scene. Expect to see this act on an abundance of support slots if they keep this trajectory. After selling out a headline show at the nearby Barras, Ayrshire three-piece Fatherson could justifiably stake a claim as the biggest name on 2017’s Tenement Trail line-up. The organisers seemed to agree as well, as Fatherson appeared at King Tut’s under a fake name – as unsubtle as Motherdaughter was. Frontman Ross Leighton appeared to take it in his stride, telling the packed crowd “we’re a band called Motherdaughter and we’re playing a set full of new songs because we’re not a real band”. One part of that statement actually turned out to be true. Fatherson have been busy writing since 2016’s Open Book and played an 8-song set, entirely comprised of unreleased songs – a bold move, even for Fatherson with the rapport they have built for themselves in Glasgow. However, the new tracks are packed full of just what those in the room love so much about Fatherson. There’s plenty show-stopping vocals from Ross Leighton atop the rhythm section of drummer Greg Walkinshaw, bassist Marc Strain and the three-piece’s new live guitarist. From a quick look at the setlist and a rack of my rum-hazed memory, highlights included Berlin, a slow and somber track reminiscent of Open Book’s heartbreaker Joanna while Charm School and Making Waves will fit comfortably alongside Fatherson’s “bangers” like I Like Not Knowing and Lost Little Boys. Bring on LP3, lads. An hour between Fatherson (sorry, Motherdaughter) and Vistas with only a 5 minute walk from Tut’s to the Garage Attic Bar left a schedule gap crying out to be filled by Spiced Morgans and Coke, and who am I to refuse a turn of fate like that? After a beverage or 2, Blinkclyro faves Vistas took the stage, looking out on an Attic Bar which was packed almost at capacity, a real sign of how far the Edinburgh four-piece have come since the release of debut EP Sign Language in only 2016. Live, the indie rockers show exactly why they’ve built up so much hype in that short space of time. The short set is frenetic, with the band cramming all of their already well-known tracks into a short but sweet half hour set. It’s a tribute to their development too, as every track sounds better than what was released before it, latest single Hold Me proving arguably the pick of the bunch. Even a few technical hitches and broken strings can’t slow the well-oiled Vistas show. Unreleased track Retrospect – promised soon by frontman Prentice Robertson – already feels familiar alongside better-known tracks like Medicine. The biggest singles undoubtedly prove the highlight however, and by the time Vistas launch into closer Feel Alive, they have the packed crowd feeling exactly that. Our last act of the day came in the form of The Dunts and boy were they worth the wait. For a band to follow up FatherSon and Shambolics, who clashed with babystrange,yet still keep the venue as crowded after they had been is a real achievement though it’s not like we can be surprised. Their recent single Coalition Of Chaos went down a treat with its rebellious tinge but so did nearly every other track, the crowd playing right into the boy’s hands – another accolade that shouldn’t be taken lightly considering how exhausted many of the attendees would have been at this point. It’s not easy to meet someone’s expectations as their last gig of the evening but The Dunts did it without breaking a sweat: a band worth keeping yer eyes on. And so, Tenement Trail comes to a close for another year. All in all it was another success for the Tenement TV crew who put on a great event. The only nitpick we have was an over saturation in terms of indie rock bands which hopefully can be subsided by some more experimental picks: some hip-hop in the form of MC Almond Milk or even some female punk-rock via Babe Punch would have added even further to the variety. Other than that though, TT2017 was everything anyone could have wanted and then some: until next time.